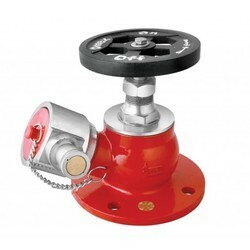 Easily installable our range of Fire Safety Valves is in tandem to various security and quality norms. 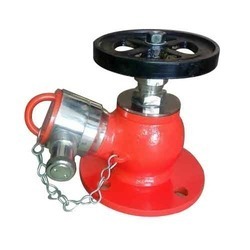 These vast range of safety valves are widely used in Chemical, Refineries, Petrochemicals & Fertilizer plants and Pharmaceuticals industries. 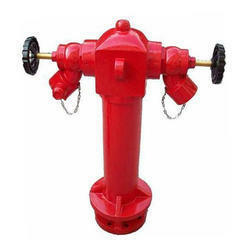 A fire hydrant designed to prevent the unauthorized use of an outlet nozzle which is located on the above ground barrel portion of the stand pipe. Guarantee: For the period of 12 Months from the date of Supply. C.I. body, having four gunmetal 63mm male instantaneous inlets conf. 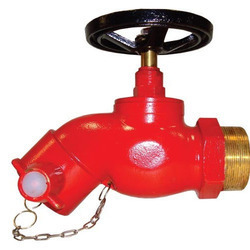 to IS:903, fitted with non-return valves, flange outlet 220mm OD, 180mm PCD, eight holes of 19mm dia., can be available with gunmetal 25mm size drain valve, one air realise valve and four rubber blank caps with chains(on demand). Test Pressure : 14 kg/cm². 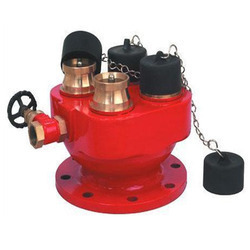 We specialize in providing the dependable range of Hydrant Valves to our customers. 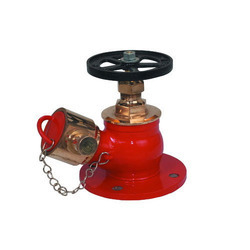 These are developed in compliance with the international standards. 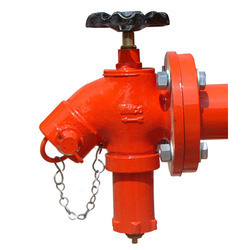 Our assortment of hydrant Valve is generally used for fire fighting applications. 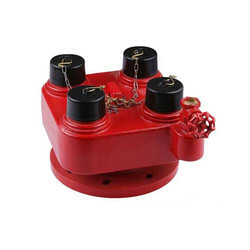 These are sturdy in construction and are made from anti corrosive metals. We also provide fast deliveries of our products to the clients. 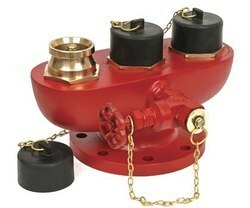 We are offering a wide range of 4 Way Hydrant Inlet Connection.